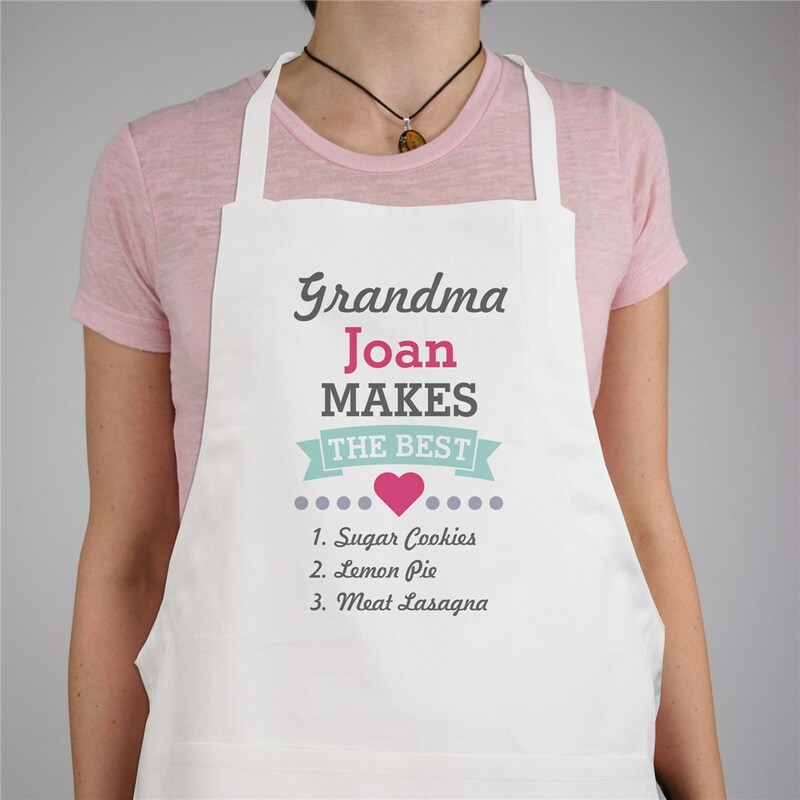 Create a special Personalized Grandma Makes the Best Apron for that lady in your life that makes the delicious items you love. We will custom create with any title, any name, and three custom message lines to make an apron just for her to show off all the special treats she creates. Give this as a Mother's Day Gifts For Grandma, Mom, Aunt and more!